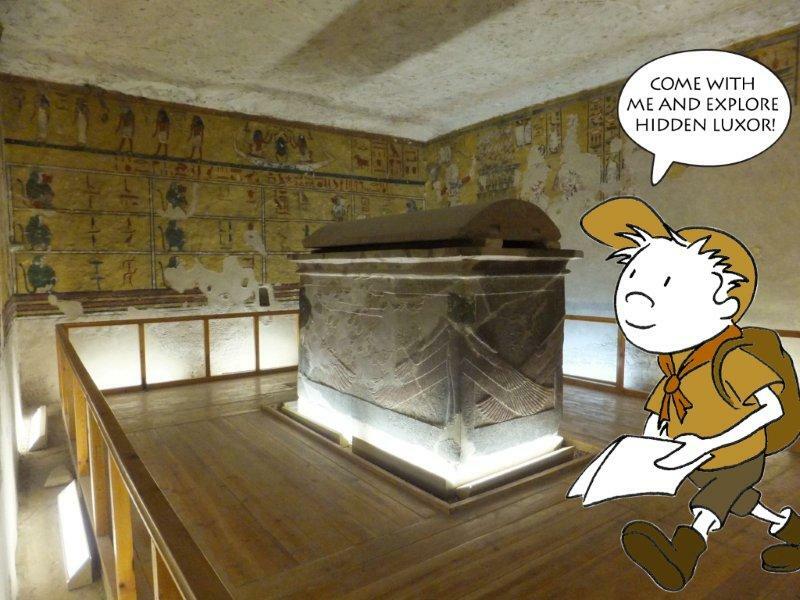 Lots of people believe that this tomb is where Tutankhamen was supposed to have been buried but Ay stole it from him. they also think Ay stole his wife Ankhesenamun as there is a ring with both their names on in the Berlin museum. But it didn’t do Ay much good as he doesn’t seem to have used this tomb and all his pictures and his name have been hacked out of the tomb. Egyptians did this to make sure you could not enjoy the after life. It is in the western valley of the kings and hardly anyone goes there. Some people called it the tomb of the monkeys because of the pictures from the Book of the Dead on one of the walls show lots of baboons.